A walk down the cough and cold aisle at your local pharmacy or supermarket presents a vast array of choices. When kids are congested and miserable, you might try anything marketed as sure relief. But parents should be cautious. Not all the medicines are effective, especially for kids. 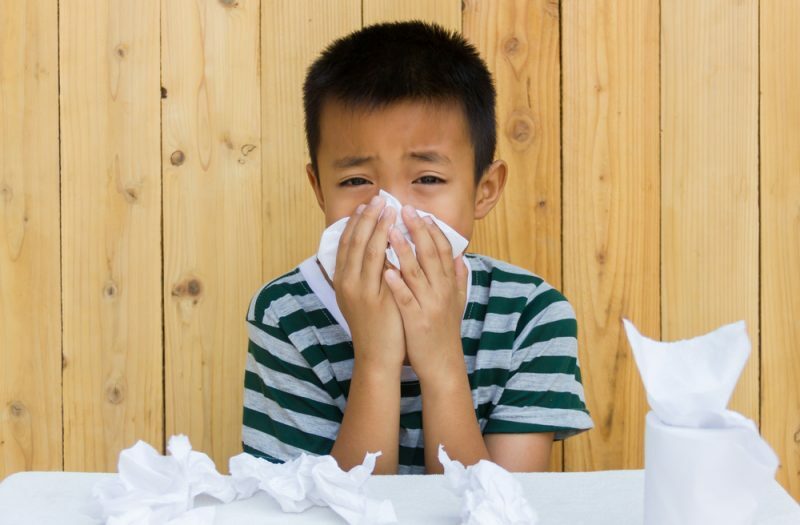 Linda Beilstein, certified pediatric nurse practitioner at Akron Children’s Hospital Pediatrics in Boardman, helps sort through remedies that may or may not provide some relief from head and chest colds. Research has called into question the effectiveness of over-the-counter cough and cold remedies for children. Can you help explain what, if any, cold medicines are recommended and at what age? Over-the-counter cough and cold remedies should not be given to children under the age of 6. Avoid using them for children between the ages of 6 and 12. Research has not proven a benefit, and they may have severe adverse effects. Medications that should also be avoided are herbal products, garlic, vitamins and minerals. Also, antihistamines can cause side effects such as sedation and respiratory distress, so should be avoided. Are cough suppressants and expectorants helpful? Some experts suggest honey works just as well or better at quelling coughs. Non-prescription mediations are not proven to be effective for upper respiratory infections. The common cold is usually mild and self-limiting. The symptoms usually peak between the first 2-3 days of the illness and gradually improve over 10-14 days. Older children and adolescents can have the symptoms resolve in as early as 5-7 days. There is no role for antibiotics for the common cold. Honey has been shown to relieve cough. It should not be used in children under 1 year of age. Proper rest and hydration are important. What other home remedies do you recommend? Initial therapy should be supportive measures such as nasal suction, saline nasal drops, spray or irrigation. Adequate hydration is of utmost importance. A cool mist humidifier can be used. Avoid topical aromatic therapies, as they have not been shown to be beneficial. It has been proven that warm fluids such as tea and chicken soup do help ease the symptoms of the common cold that occur due to airway irritation. Throat lozenges or hard candy can be used in children who are past the age of aspiration risk. Yearly influenza immunization is recommended for all individuals older than 6 months to prevent influenza infections and its complications. A diagnosis other than the common cold should be considered if the cough becomes severe or lasts longer than 2 weeks.